We always encourage risk managers not to reinvent the wheel. Learn from others. Build connections with risk managers from similar companies. A good place to meet similar minded risk managers is the G31000 group on LinkedIn https://www.linkedin.com/groups/1834592. Do not be afraid to share your own experiences or participate in online and face-to-face discussions or initiatives designed to promote risk management in your country. For example, help improve ISO 31000:2018 Wikipedia page or make one in your language (we have created the one in Russian language) or provide comments to your national representative in the ISO Technical Committee 262 who are currently working on updating the ISO31000 family of standards. Help spread the messages in this guide by sharing it with your colleagues. 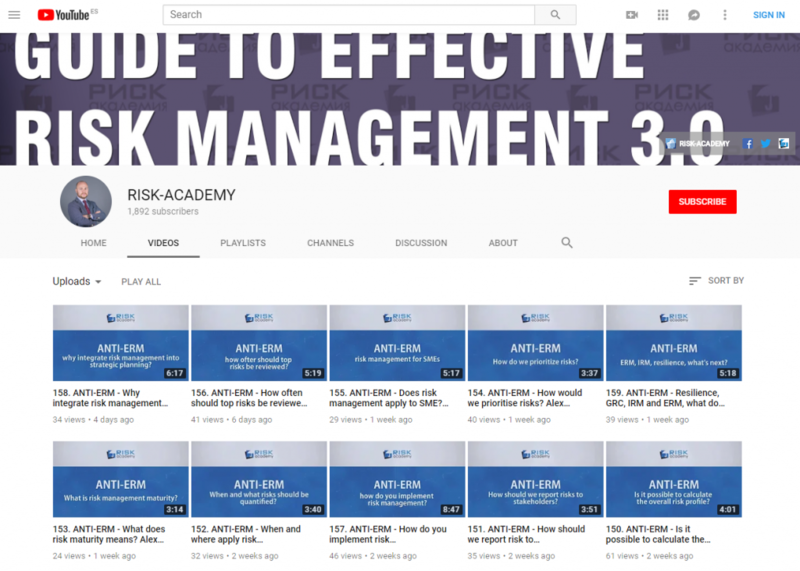 And join the RISK-ACADEMY YouTube channel to watch more videos.